Red Mango UAE, last updated on 3 Febraury 2017 , is listed under Frozen Yogurt category. It was added to UAE Directory Rinnoo.net on 26 November 2015 . 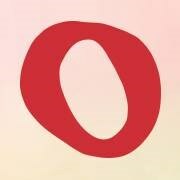 Pages of Red Mango UAE on Rinnoo.net have achieved 12,814 views till now. Red Mango is the very popular and fastest-growing retailer of all-natural nonfat frozen yogurt in the United States. Red Mango combines its refreshingly tangy frozen yogurt with fresh and exciting toppings to create a nutritious dessert that can be enjoyed all day. The result is an extremely satisfying, one-of-a-kind sensation that is irresistibly delicious and undeniably nutritious. Red Mango stores are stylish, comfortable and uplifting destinations for today's active, health conscious consumer who want to eat well, and look and feel good.